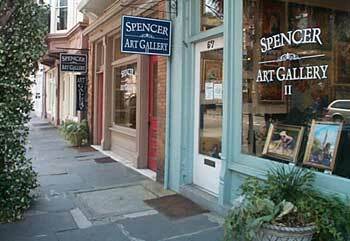 One of Charleston's finest galleries, the Spencer Art Galleries I & II are located at 55 & 57 Broad Street in the French Quarter of the historic district of Charleston. We feature contemporary fine art - paintings, prints, photographs, and sculptures- by carefully selected master, mid-career and emerging artists. Our International, National, Regional, and Local artists work in a broad range of styles and media. New works are added regularly. 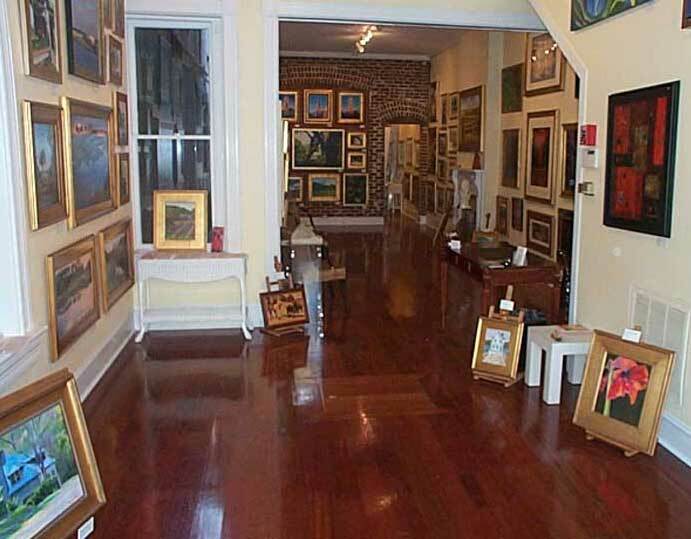 The gallery is a pleasant, relaxed, and friendly setting for you to come view the art and meet the artists. We offer fine art for serious and beginning collectors and those who simply enjoy looking at beautiful works of art. Please click on CALENDAR to review our active schedule. We offer a full range of services and invite you to contact us at anytime. You can proceed directly to your area of interest ---paintings, prints, sculptures, or other galleries. We welcome your comments and suggestions. See our 'Contact' page.